When I started collecting cooking recipes years ago before having a baby, I was looking for a helpful and easy to use recipe organizer. And since I am an IT, all the paper-like recipe organizers seemed nice but old-fashioned and did not meet my needs. I wanted to have something fast and accessible, plus I love using recipes from different cultures and written on different languages. 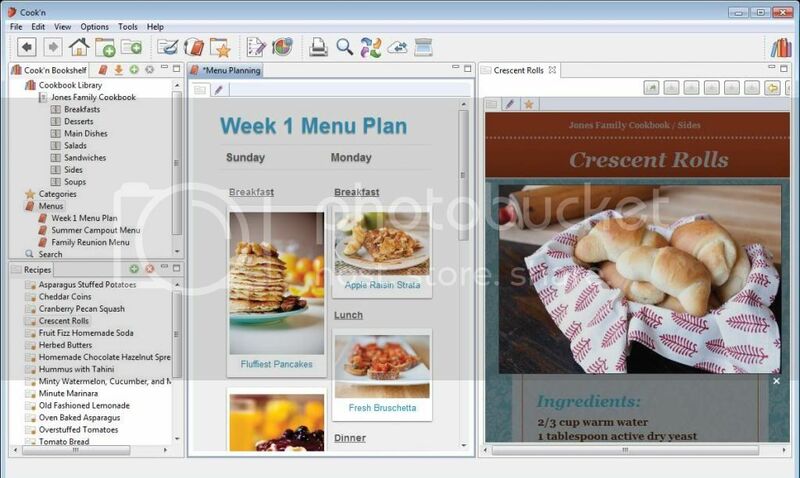 With various challenges from adjusting to what food stores offers to searching the right naming for ingredients I am lucky to come across #1 best-selling recipe organizer. I am impressed with multiple features Cook'n Recipe Organizer offers everyone who loves cooking and I am still learning how to use them in my cooking adventures. Great news that that Cook'n generously offers one lucky Teddy Out Ready reader a copy of the Cook'n Recipe Organizer download. The giveaway is open to US & Canadian residents only and ends March 18, 2014. Good Luck! I would love to win this for myself! I have recipes all over the place and this would really help me organize them all and meal plan much more effectively. Bailey Dexter I would love to win this for myself!